Visit the areas that inspired Fleming to create one of the most thrilling spies the world has ever known. Ian Fleming loved Kent. You only have to read one of his books to experience the great adoration he had for his home county. He made his home in a beautiful house on the beach of St Margaret’s and wrote many of his novels looking out over the English Channel. His most famous creation, James Bond, known to all the world as 007, inspired 12 novels and two books of short stories, which, in turn have been adapted into 22 films so far. 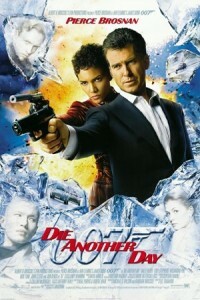 Based on one of Flemming’s short stories, this early spy spoof, features the aging Sir James Bond who comes out of his retirement to take on SMERSH. This location features as Sir James’s home. Bond outwits Peter Franks, the known diamond smuggler at passport control and boards a hovercraft bound for Amsterdam in his place. The Historic Dockyard was used as the location for the action packed boat chase whereby the boat goes across a road, through a boat house and down an arched alleyway. If you look closely you can see Chatham High Street just before Bond sails past the O2. The Antonov cargo plane scenes were filmed at the Kent International Airport – Manston. 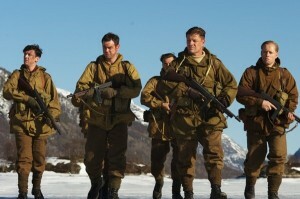 Age of Heroes cast Age of Heroes cast L-R John Dagleish as Rollright, Danny Dyer as Rains, William Houston as Mac, Guy Burnet as Riley, Sean Bean as Jones, Askel Hennie as Steinar © Age of Heroes Ltd. 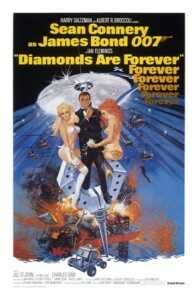 Although not a Bond film this film features a young Ian Fleming during his young days in the war. 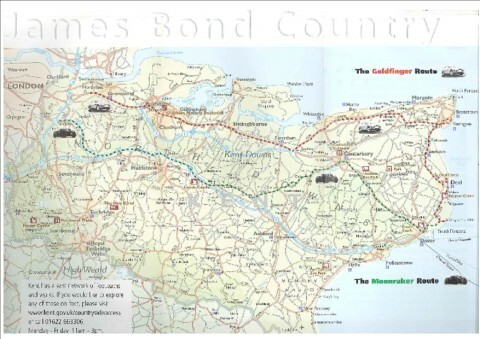 In connection with Visit Kent, Kent County Council developed two driving tours based on the novels Goldfinger and Moonraker, so you can step in the footsteps of England’s favourite spy. From St. Margaret’s go via Deal and the A258 to Sandwich. Follow the A256 to Ramsgate harbour, then the A253 and A299 to Reculver. Then take the A2 to Faversham, Chatham and Rochester. 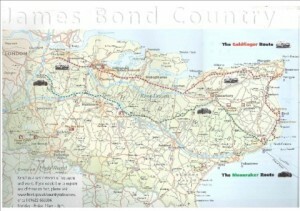 James Bond drove from London to Sandwich in the reverse order of course. Behind Auric Goldfinger’s house at Reculver, The Grange, was the factory from which he ran his gold smuggling business. Here the gold imported from India by his trawler into Ramsgate was moulded into new door panels for his Rolls Royce Sliver Ghost. May really does seem to have been Ian Fleming’s favourite month in East Kent. The bluebells and celandines still flower on the high road to Challock and the larks still sing over the links at Sandwich Bay. Ian Fleming had played at Royal St. George’s since his bachelor days. Then he stayed at the now demolished Guilford Hotel at Sandwich Bay with his bridge and golf friends who formed a group called Le Cercle – or more significantly for the plots and detail of many of his future James Bond books – Le Cercle gastronomique et des jeux de hasard, to give it its full title. After the war he would drive down from London in his Ford Thunderbird to Royal St. George’s on a Friday and play 9 or 18 holes before tea. Everything at Royal St. George’s is much as it was in Ian Fleming’s time. As with the name of the club, he barely bothered to disguise the name of the professional – Alfred Whiting in real life, Alfred Blacking in Goldfinger. The golf game in Goldfinger is a classic and, luckily, can be traced well enough from the public footpath which runs across the course from the town of Sandwich to the sea. The course itself is the private property of the club, but from the footpath enough can be seen to provide a very enjoyable walk. Royal St. George was central to Ian Fleming’s later life. He had been elected to Captain of the Royal St. George’s for 1964/5 and had attended a committee meeting there on 11th August 1964 when he had a heart attack. He died in Canterbury the following day aged 56. The club’s flag was lowered to half mast. From London, turn off the M20 junction 8 for the A20. Follow the A252 up Charing Hill to Chilham and the A28 to Canterbury. 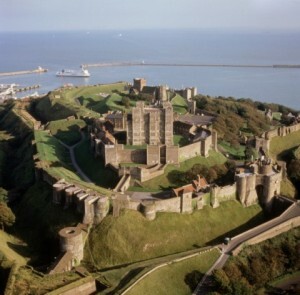 Then the A2 to Dover. They were unexpectedly joined by a supercharged straight-eight red Alfa Romeo, which Drax edged off the road to crash and kill its young driver. These extracts from Moonraker echo Ian Fleming’s own favourite spots on the way to St. Margaret’s. The Duck Inn was one of Ian Fleming’s favourite pubs and can be identified, as well as the aunt’s cottage, now part of the pub. Just off the A20 east of Bridge is Highham Park, home of the cars on which another Ian Fleming creation, Chitty Chitty Bang Bang, was based. There were three such cars, still legendary in East Kent in the 1950’s when Ian Fleming was writing. Count Louis Zborowski inherited Higham Park and was a motor-racing fanatic who fitted aeroplane engines to automobile chassis, testing these monsters down the A2. Chitty Chitty Bang Bang II had a 18,882 cc Mercedes Benz aero engine. After Count Zborowski was killed at Monza in 1924 the car was owned locally and kept near St. Margaret’s. The Count also had a private light railway to bring his guests from Bekesbourne station to Higham and two 15 inch gauge 4-6-2 pacific locomotives based on the ‘Flying Scotsman’ type were sold after his death to the owner of the Romney, Hythe and Dymchurch Light Railway. Between 1960 and 1962 Ian Fleming owned the Old Palace at Bekesbourne, just north of Higham Park, which he used for long weekends of golf with his wife Ann and son Caspar. Turn off the A2 at Lydden to follow the old road into Dover. The World without Want Inn is “on the edge of the site” three miles north of Dover. Perhaps Ian Fleming had the Swingate Inn in mind. What is clear is that he pictured the rocket site between Kingsdown and St. Margaret’s Bay. 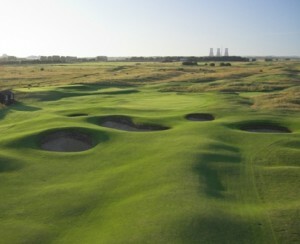 – perhaps Drax’s house is one of those in the middle of the Kingsdown Gold Course. The steep cliff path can easily be found at Oldstairs Bay in Kingsdown, leading down from the golf course. 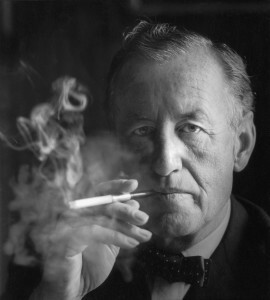 When he edited the Atticus column in the Sunday Times, Ian Fleming’s long weekends ran from Friday afternoon to Monday night and were invariably spent at St. Margaret’s where Ian and Ann Fleming hosted friends such as Somerset Maugham, Noel Coward, Evelyn Waugh, Patrick Leigh Fermor and the Duff Coopers. He was fascinated by the shipping in the channel and erected a telescope on the terrace of the White Cliffs to watch the procession of the ships. The relationship with Noel Coward was a special one. Coward had been the previous owner of White Cliffs and there was a good-humoured exchange over the price and condition of the house when it was brought. The close friendship had started in Jamaica, where they were neighbours at Goldeneye, and Noel Coward was Caspar Fleming’s godfather. Both of these establishments were favourite local haunts of the Flemings and their weekend guests. 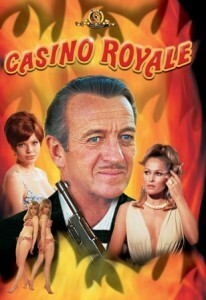 Did the Royal Cafe or the Cafe Royal lend its name to Ian Fleming’s first book, Casino Royale? 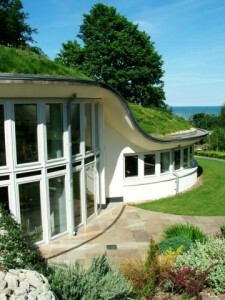 The Pines Garden Museum at St. Margaret’s Bay has an exhibition of memorabilia relating to both Noel Coward and Ian Fleming and their associations with St. Margaret’s, as well a cafe. This makes an excellent halfway stop on the James Bond Country Tour. Keep strictly to the paths on the cliff top walk between St. Margaret’s and Kingsdown. The chalk is unstable and James Bond and Gala Brand were lucky to survive the landslide engineered by Sir Hugo Drax. Dogs should be kept on leads as they tend to chase the sea-birds which glide over the cliff edge on the thermal breeze. 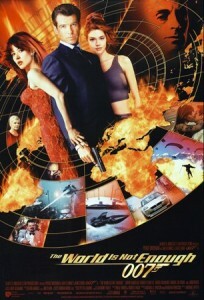 To see how to visit some of the movie location on your bond trails, go back to our MOVIEMAP.